The Union Cycliste Internationale (UCI) is the world governing body for the sport of cycling recognised by the International Olympic Committee (IOC). Founded in 1900, its headquarters are located at the UCI’s World Cycling Centre in Aigle, Switzerland. 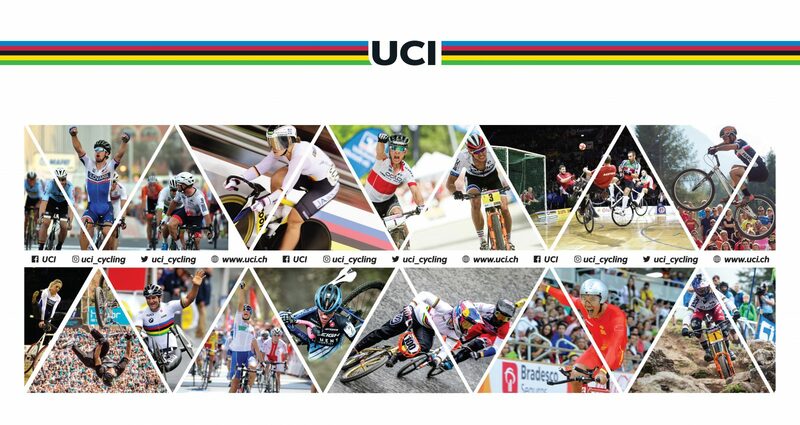 The UCI governs the eight disciplines of cycling: road, track, mountain bike, BMX, para-cycling, cyclo-cross, trials and indoor cycling. The first four of these disciplines are represented at the Olympic Games, while the fifth discipline is a genuine highlight of the Paralympic Games. Furthermore, the UCI is responsible for organising the World Championships and World Cups in its eight disciplines on a yearly-basis.